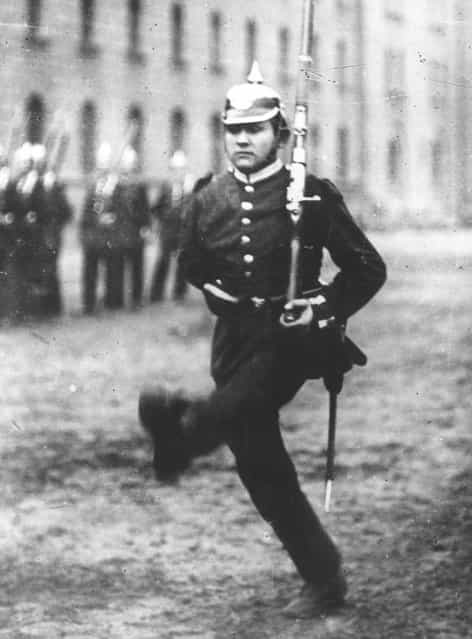 A German infantryman marching the [goose step] at a military parade, 1914. 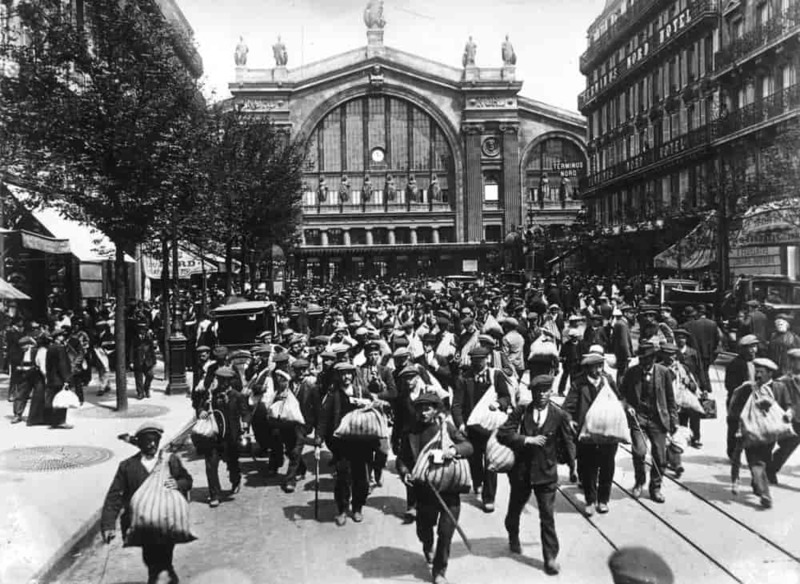 French reservists heading for the headquarters to join the army at the start of World War I, 1914. 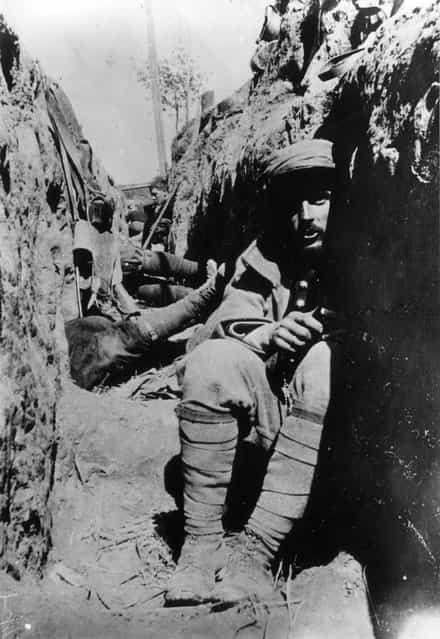 French soldiers protect themselves from shrapnel in a dugout. 1st August 1914. 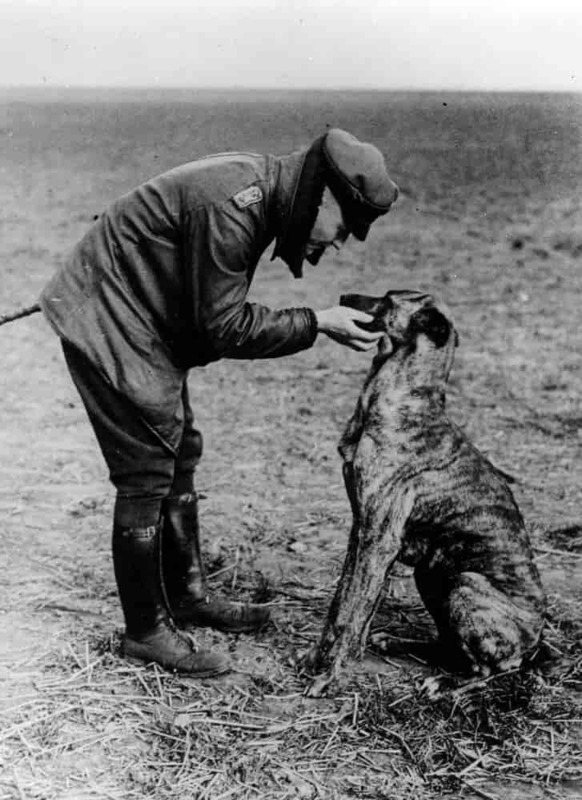 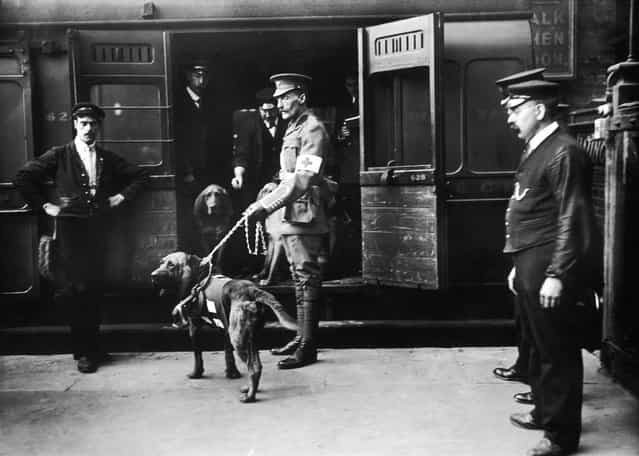 Dog trainer Major Richardson leaves Charing Cross Station with his bloodhounds, to assist the British Red Cross in locating wounded soldiers on the battlefields of World War I, 18th April 1914. 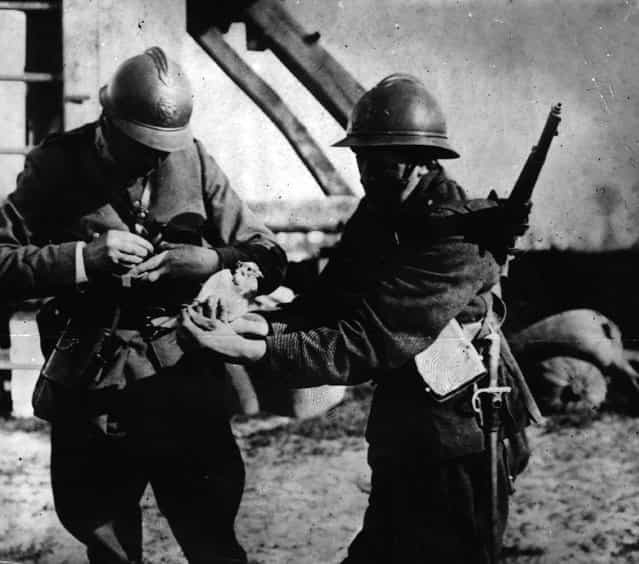 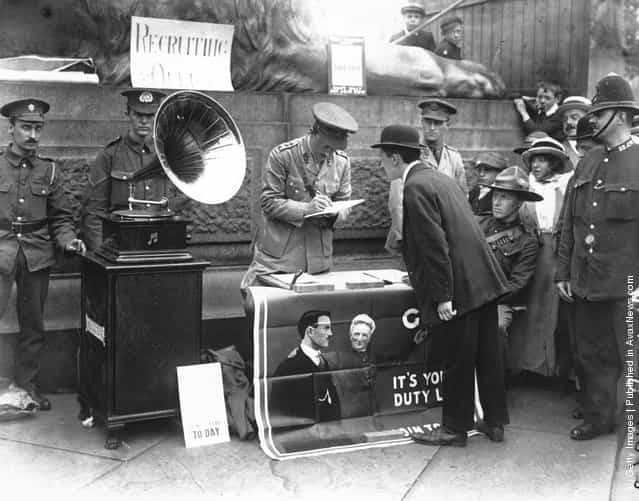 Belgian soldiers attach a message to a carrier pigeon. 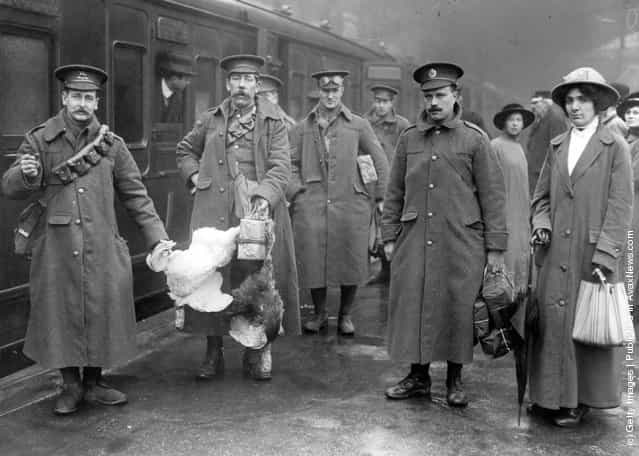 1st October 1915. 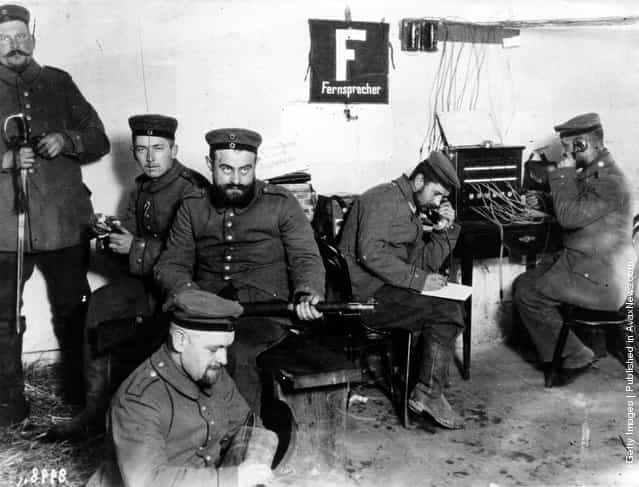 German soldiers try on their new uniforms. 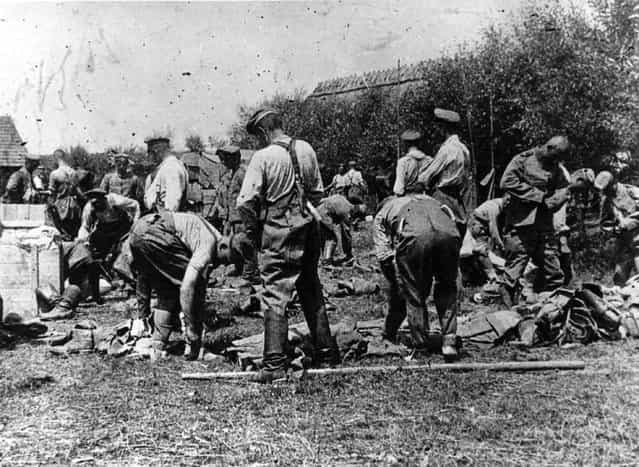 2nd July 1914. Men and ships of the German Torpedo Flotilla in the Kiel Canal in Germany, 1914. 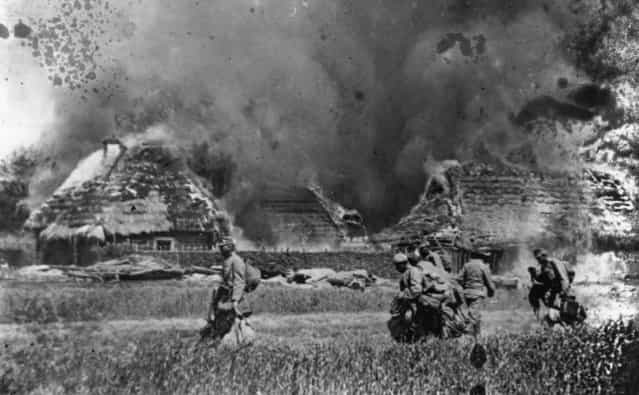 Austrian Infantry passing through a burnt-out village, 1914. 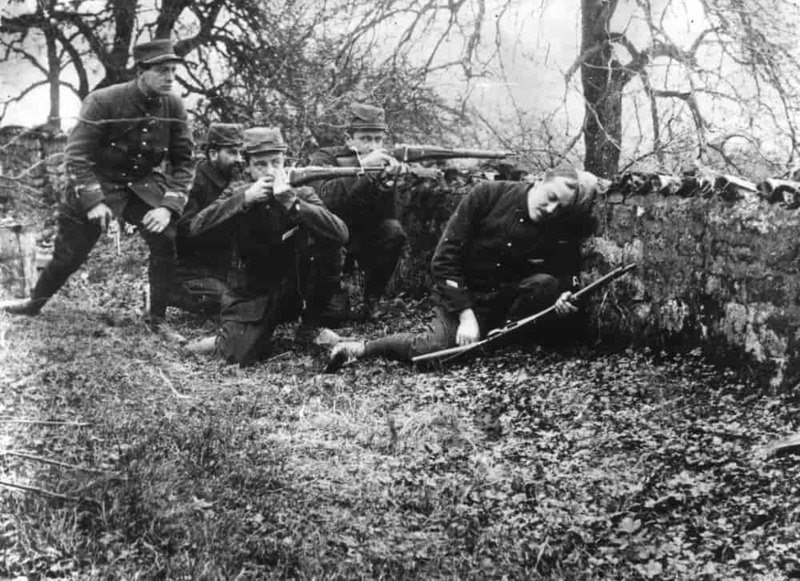 French soldiers during the Battle of the Marne, 1914. 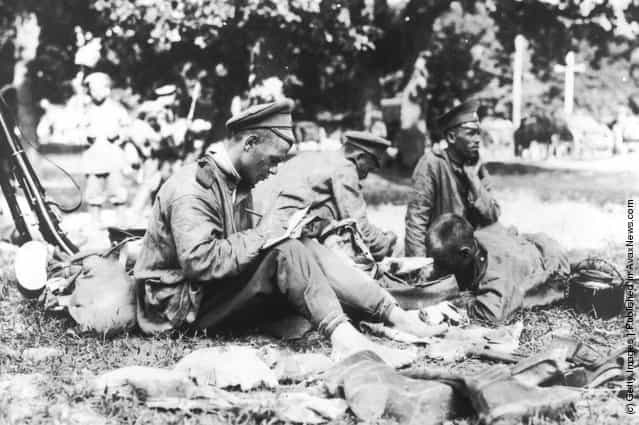 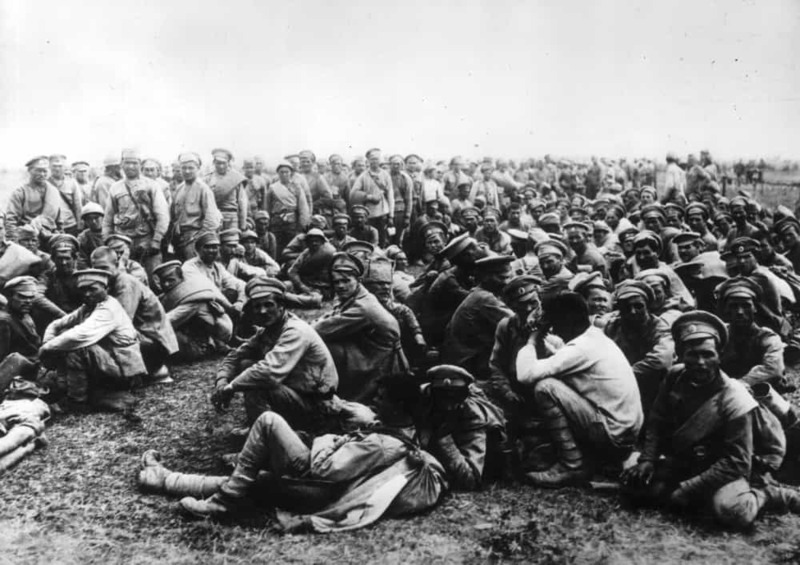 Soldiers of the Russian Second Army in Austria, following their defeat and capture by the Germans at the Battle of Tannenberg in East Prussia. 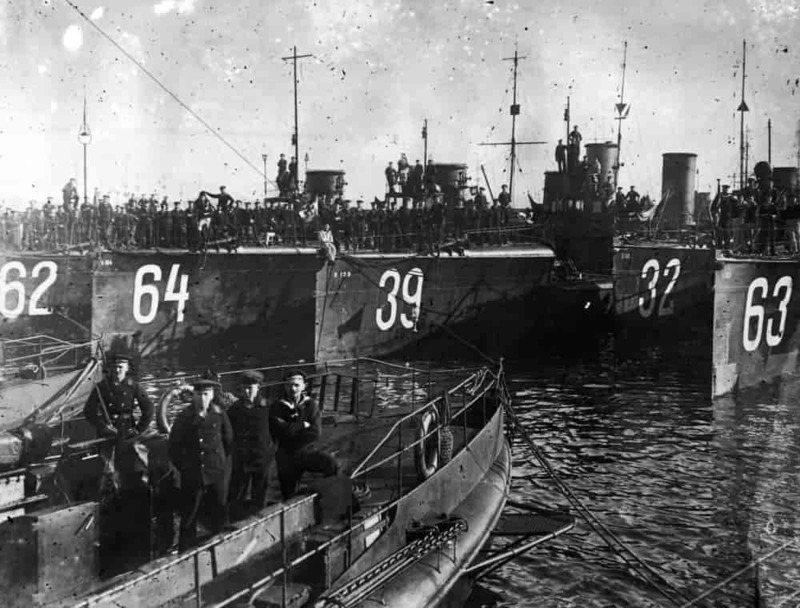 30th August 1914. 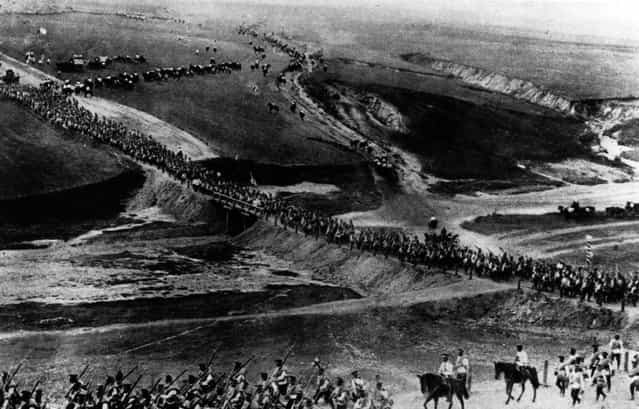 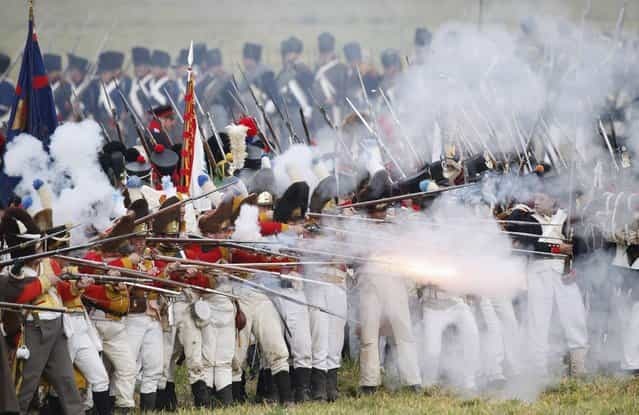 A long line of Russian troops marching westwards. 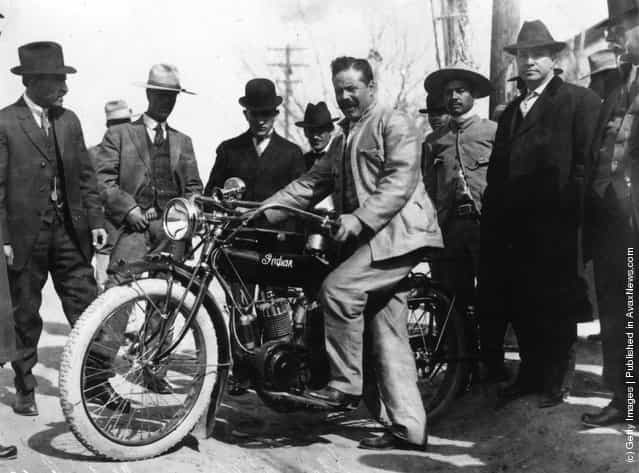 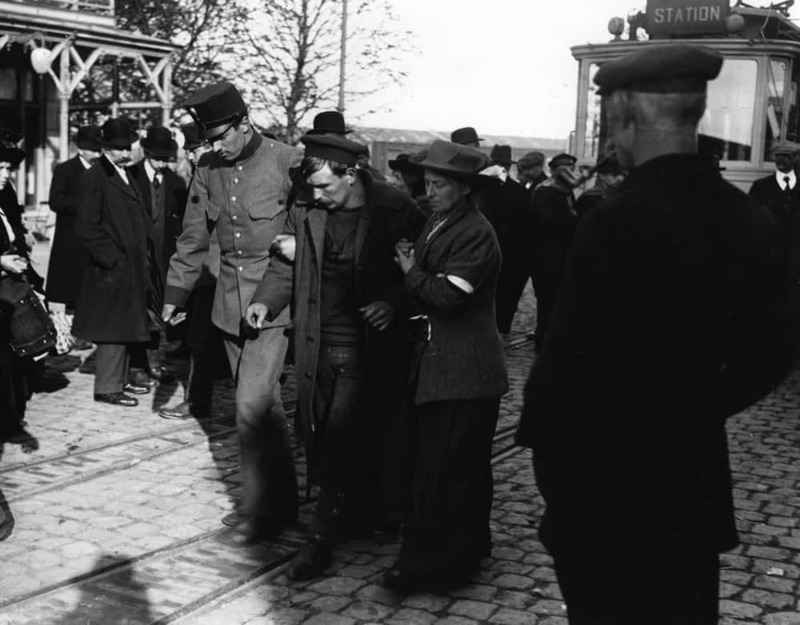 September 1914. 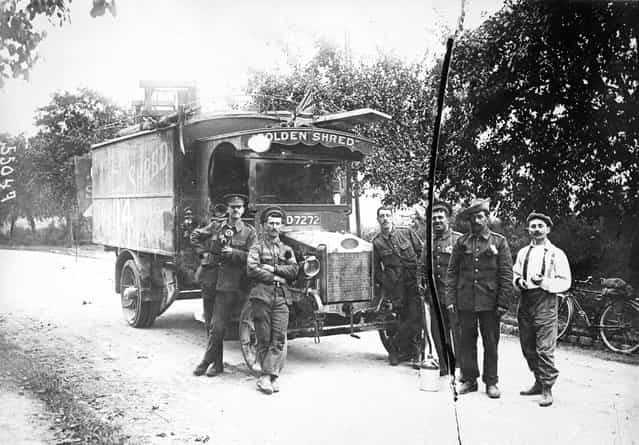 British army transport at La Ferte-Sous-Jouarre, using a commandeered [Robinson's Golden Shred'] delivery van, 1914. A wounded soldier, supported by a Dutch policeman and civilian, September 1914. 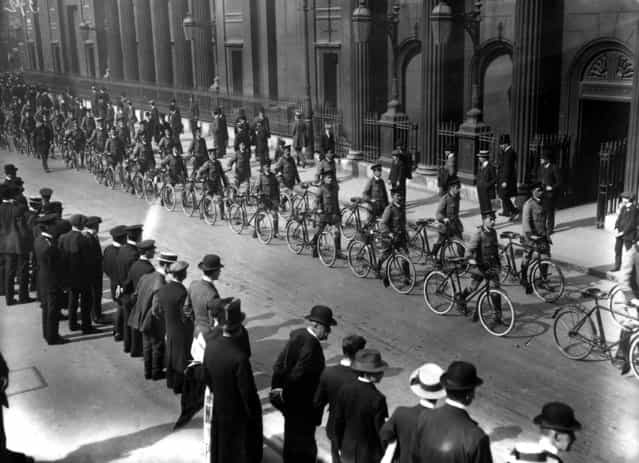 Automobile Association bicycle scouts in procession on their way to Liverpool Street Station, en route to camp, September 1914.